Faced with an endless supply of mass-manufactured products, we find ourselves nostalgic for goods bearing the mark of authenticity--hand-made tools, local brews, and other objects produced by human hands. 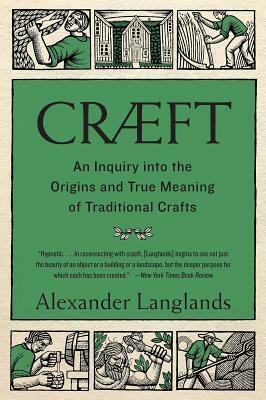 Archaeologist and medieval historian Alexander Langlands reaches as far back as the Neolithic period to recover our lost sense of craft, combining deep history with detailed scientific analyses and his own experiences making traditional crafts. Craft brims with vivid storytelling, rich descriptions of natural landscape, and delightful surprises that will convince us to introduce more craft into our lives.